The first Earth Day was celebrated not on April 22, but on March 21, 1971. April 22, a day with no global significance or connection to natural Earth, has become associated with Earth Day in the US. However, the original International Equinox Earth Day was established 44 years ago with the ringing of the Peace Bell at UN headquarters in New York at the exact moment of the Vernal Equinox. Looking back to 1971, the world was just coming to consciousness about humans and our effect on our natural environment. The astronauts had shown us the famous photo of Earth floating alone in space. We had been shocked by the Santa Barbara oil spill, and by Rachael Carson’s warning of the global impact of DDT, in a detailed scientific report serialized in the New Yorker magazine. UN delegates from around the world saw US televised Sierra Club opposition the new Alaska oil pipeline. They read the New Yorker, which ran features on nuclear and chemical hazards. We learned of a new hazard – Agent Orange. Opposition to the Vietnam War had been mounting. John Denver and Cat Stevens were singing at the UN. In 1967 the United Nations had accepted the Swedish proposal to convene a conference on Global Pollution. Delegates from around the world were meeting at the UN to prepare that agenda. Pete Seeger combined all these issues with his songs and his focus on the Hudson River when he invited the UN delegation, which included Shirley Temple Black, to sail with him on the Clearwater. The two political opposites were pictured listening with earphones to the newly recorded “Songs of the Humpback Whales” The same UN delegation also heard the dire warnings of Secretary General U Thant on that 1971 Equinox Earth Day- that we could no longer ignore the fact which the Equinox symbolizes and proves: that we are all part of a one- Earth system. UNESCO had held a Biosphere Conference. In June 1971, the UN convened a conference on the Environment for concerned students and professionals. Now, in 2015, on Equinox Earth Day, at a moment of equal impact for all living things on Earth, representatives of the Earth Society Foundation will ring the Peace Bell with me in the Rose Garden at the UN, as we have done every year on the Vernal Equinox since 1971. We will do this to honor the clarity and leadership of Secretaries General Hammarskjold and U Thant and of Sweden with our Current Secretary General Ban Ki Moon in the protection of peace, justice and care of Earth. Wherever you may be at the moment of the Equinox, please pause to honor Earth in your own way. In Gloucester, the moment of the Equinox occurs at 6:45 pm Friday, March 20. 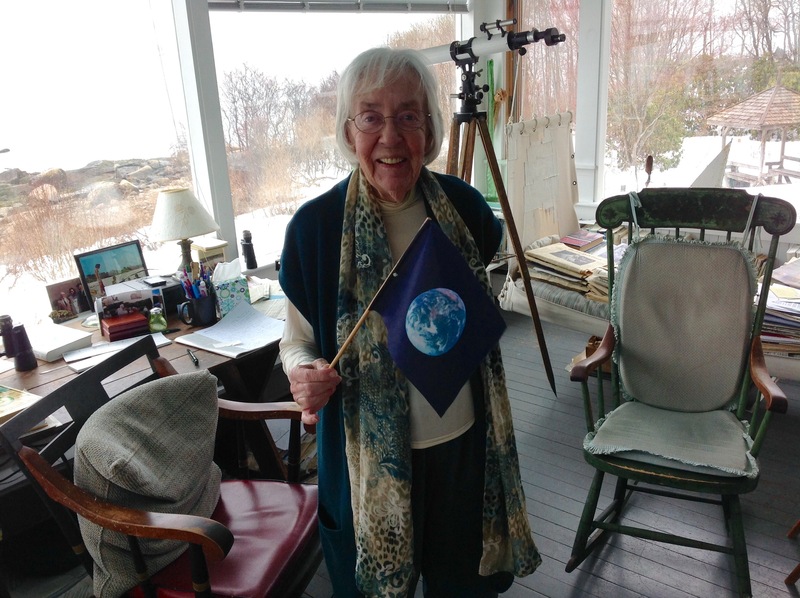 Helen Garland, Gloucester, Massachusetts, Chair of Earth Society Foundation, United Nations.